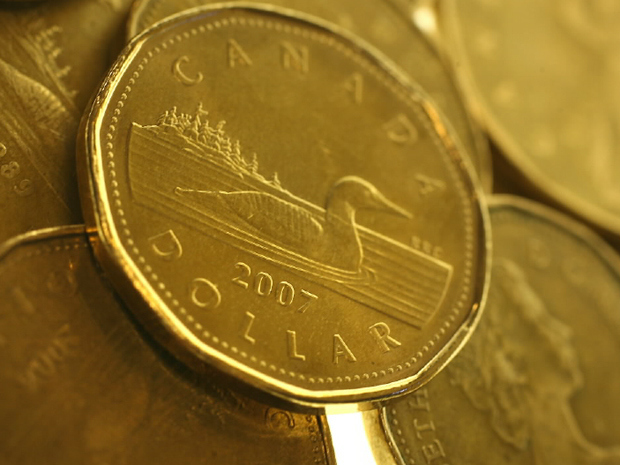 If you’ve been following Canadian financial news lately, you’ll appreciate that the loonie has been slumping against the greenback. In mid-July, our currency fell to 77 cents U.S., its lowest level since 2009. A number of factors are contributing to this decline, but perhaps the most important is long-term weakness in certain commodities, especially crude oil. Canada’s economy relies on the extraction of raw materials more than most others in the industrialized world. A slump in commodity prices diminishes the incentive for investment in those sectors from abroad, reducing demand for our currency. The sluggishness of the loonie also explains why we’ve seen a small pick-up in inflation across the country since June, even though Canada is in an economic downturn, the price of oil is still relatively low, and the Harper government has promised to balance its budget despite the slump (all of which tend to put a damper on inflation). A low loonie means that the price of imports into our country, including many food products and manufactures, has risen. But as you may have inferred from the title of this post, there is good news too: namely, the returns on our exports will also tend to rise, since those exports will become less expensive (and thus more attractive) to foreign customers. Tourism and associated industries may also see fringe benefits, as the prospect of a Canadian vacation becomes more affordable to foreign travelers. In other words, a low loonie translates into business opportunities abroad. If you haven’t done so already, now is a great time to concentrate on online marketing and distribution to foreign markets, particularly the U.S., China, Brazil, Germany, and Australia. As with any new market, do your homework first. Is there a demand for your product or service, or an unfulfilled need that you can help to satisfy? Are prospective customers with disposable income willing to shell out for whatever you have to offer? What do you bring to the table that incumbent firms do not? Before you embark on a venture into overseas markets, you should be able to answer these questions definitively. Getting there simply requires due diligence. Start with some research on the internet, and identify organizations that can help you glean insight into the target market, including government data on income levels and spending habits. Aim to picture your typical client in the target market, the environment in which s/he lives and works, the amount of free time s/he has, and the recreational activities s/he enjoys. Connect with foreign customers online. Although overseas branches are nice to have, they’re also a luxury that most small and medium-sized firms don’t enjoy. This is where a robust online presence, including a website accessible in multiple languages, comes in handy. If you don’t have the budget to invest in a sleek, sophisticated website, there’s also a variety of existing online gateways—including eBay and other auction sites—that allow you to 1) broaden your international reach on a budget and 2) dip your toe into the waters of your target market before your dive in. As the internet increasingly evolves from a stationary, plugged-in medium to a mobile, wireless one, more and more industries are prioritizing compatibility with mobile devices in their website design strategy. You’d be well advised to follow suit as you strive to reach foreign customers. Choose distributors and payment processors wisely. Select the most reputable, reliable distributor and most secure international payments system you can find. (Favour dependability even if the price is slightly higher, and investigate the record of candidate distributors and payments processors well in advance.) If customers know they can count on these aspects of your business, they’ll keep coming back, and recommend your company to their friends and associates. But if something goes wrong, even if a subcontractor is to blame, your business’ reputation could be in jeopardy. For more on how you can take advantage of a feeble loonie, see this piece in the Globe and Mail’s business section by e-commerce expert Cameron Schmidt.